It was a big win for the poker community as Chino Rheem captured the first Epic Poker League Main Event. 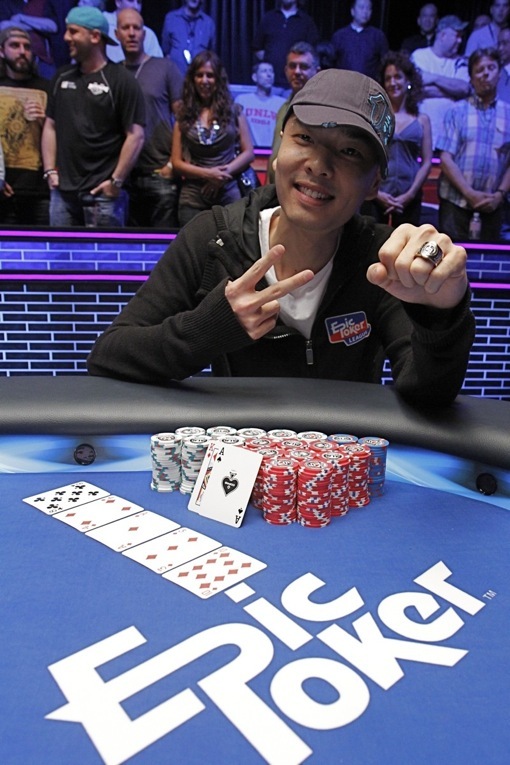 David “Chino” Rheem captured the inaugural Epic Poker League Main Event. For the win, Chino banked $1M. This marks Chino’s third million dollar plus score in three years. Talk on Twitter and the forums immediately swirled around Chino paying off his multitude of backing debts, which Chino seemed to acknowledge and promised to make good on. The “audience” (which–aside from friends and fam–were paid $64 to sit in the stands) witnessed the charismatic Chino defeat a mega talented final table (although maybe not the greatest ever, as Annie Duke claimed). Coming in second was Erik Seidel ($604,330). 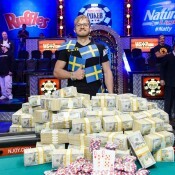 This is Seidel’s 14th cash of the year, raising his 2011 winnings to over $6.2M. 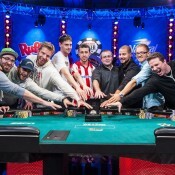 The rest of the final table results were: Jason Mercier (3rd – $360,970), Hasan Habib (4th – $237,560), Gavin Smith (5th – $154,260), Huck Seed (6th – $107,980).